Steven I. Marcus received his Ph.D. and S.M. from the Massachusetts Institute of Technology in 1975 and 1972, respectively. He received a B.A. from Rice University in 1971. From 1975 to 1991, he was with the Department of Electrical and Computer Engineering at the University of Texas at Austin, where he was the L.B. (Preach) Meaders Professor in Engineering. He was associate chairman of the Department from 1984-89. 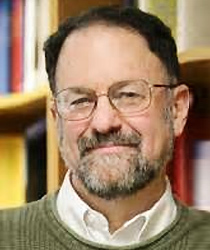 In 1991, he joined the University of Maryland, where he was director of the Institute for Systems Research until 1996. He is currently a Professor in the Electrical and Computer Engineering Department and the Institute for Systems Research and most recently served as the chair of the Electrical and Computer Engineering Department. The 2009 EE Ph.D. recipient was advised by Steve Marcus and Michael Fu. Zhou was co-advised by Steve Marcus and Michael Fu. New mathematical techniques will develop more realistic models of these systems and better predict their behavior. Awards honor outstanding faculty, graduate and undergraduate students, and staff. The research will develop a new framework for incorporating risk into sequential decision making under uncertainty. Students striving toward a career in academia take part in a selective fellowship to prepare for the future.